Submitted by mabeldog on Mon, 12/26/2016 - 22:09. The Emerald Development Economic Network, which "helps" the poor by helping themselves to $25 million in federal funds per year, has also been cashing in for over 20 years by paying ZERO property taxes on their vast real estate holdings, which ALL house Section 8 tenants, by fraudulently classifying them as "private hospitals." Their lastest "hospital" venture is building obscenely expensive homeless shelters that house active drug users at the cost of $180,000 per 350 square foot unit. Each of these "hospitals" has between 60 and 80 units. 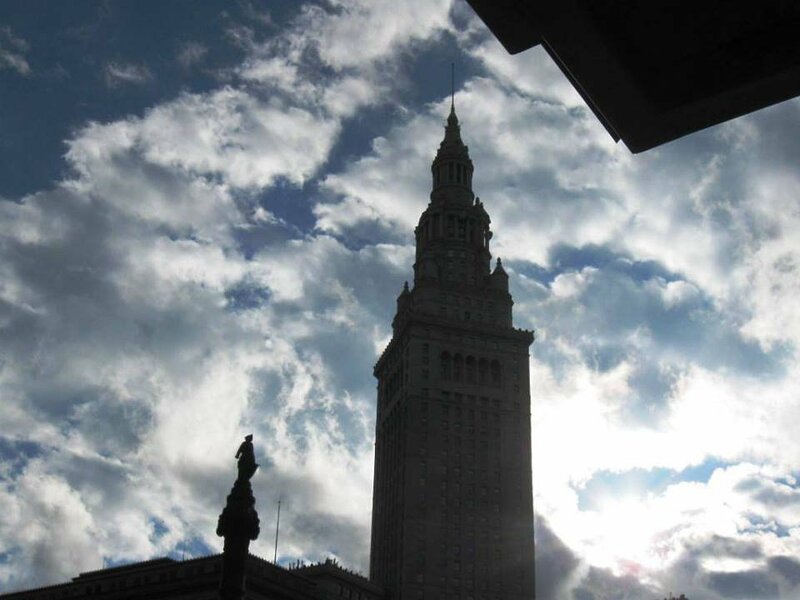 CLEVELAND WEATHER: SNOW IN LATE AUTUMN & SPRING IN EARLY WINTER! Submitted by Satinder P S Puri on Mon, 12/26/2016 - 13:59. Submitted by mabeldog on Fri, 12/23/2016 - 14:09. Submitted by Quest-News-Serv... on Thu, 12/22/2016 - 00:26. Police need your help identifying a suspect in an area crime. On 12-8-16 the suspect in these photos entered a home on the 700 block of Brayton Road (Tremont) at 12:15pm. The suspect gained entry through a kitchen window and took money from the home. If anyone recognizes this suspect, please contact Detective Janet Murphy at email JMurphy3 [at] city [dot] cleveland [dot] oh [dot] us or PH 216-623-5218. Submitted by Jeff Buster on Tue, 12/20/2016 - 22:40. Please read Roldo here on Have Coffee Will Write. He's right. Taxes going to the mega rich. Totally assinine. Submitted by Quest-News-Serv... on Mon, 12/19/2016 - 06:14. Submitted by lmcshane on Mon, 12/05/2016 - 06:58. Submitted by lmcshane on Thu, 12/01/2016 - 10:53. Of course! Forest City sold Terminal Tower to K&D to convert the building to high-end apartments a la Manhattan rental rates. Forest City is calling the shots on transit on the Square - and trying to model the services on Public Square to the kind one might find in New York City- buses, be damned. F.B.I-WE NEED A RESPONSE IMMEDIATELY (this is scam etc. email we received using our heroes f.b.i. Submitted by Quest-News-Serv... on Wed, 11/23/2016 - 07:12. Submitted by Quest-News-Serv... on Thu, 11/17/2016 - 01:45. Submitted by lmcshane on Sat, 11/12/2016 - 09:53. I lost my mechanic - he died suddenly this past month. Selfishly, I am very sad for myself. I don't know how to fix a car - I need to learn- or give up my car. My mechanic couldn't find anyone to work in his shop. The last time I saw him - he was trying to train a young man from Ohio Technical College. Submitted by Jeff Buster on Wed, 11/09/2016 - 17:01. Hillary Clinton recieved 59,739,604 citizens votes to Trump's 59,520,324 citizens votes. Therefore Clinton has the MANDATE of the people. Submitted by Quest-News-Serv... on Wed, 11/09/2016 - 02:08. Submitted by lmcshane on Sun, 11/06/2016 - 10:25. Both Brian Cummins and Tony Brancatelli came to us as council representatives from the "Community Development" CDC world. Cummins worked for Old Brooklyn Development Corporation and Brancatelli for Slavic Village Development Corporation. Brancatelli was groomed to fill Ed Rybka's position - Cummins was not. Emily Lipovan was groomed to fill the Rokakis council seat after he appointed Merle Gordon. Submitted by Jeff Buster on Sat, 11/05/2016 - 21:27. Compared with other large metropolitan school districts around the United States, Cleveland's public school children are more than 3 years behind the average - only Detroit's school system performs more poorly for its students.